Left, Dino Campagna of Hunk-O-Mania. 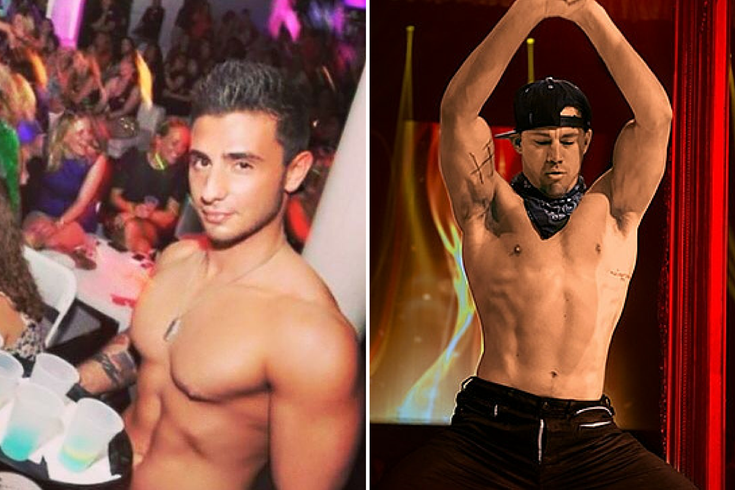 Right, Channing Tatum stars in "Magic Mike XXL." As the sequel to 2012's "Magic Mike" -- appropriately named "Magic Mike XXL" -- hits theaters this holiday weekend, men and women across the country (OK, mostly women) will be flocking to see Channing Tatum's abs back in action. For those who've avoided their half-naked advertisements entirely, the films follow the lives of male strippers as they entertain and pal around in Tampa, Florida. While the first film (directed by Steven Soderbergh) takes a dark look at a drug-filled world that just happens to feature male dancers, the second film is a much lighter joy ride as the friends head to a stripper convention. Yes, really. Basically, "Magic Mike XXL" was made only to please its female fanbase. But it turns out that, under all the glitter, fantasy and dollar bills, the films get a lot of things right and wrong about the male entertainment industry. For one, the first film paints an inaccurate picture of the life of a dancer, said Dino Campagna, a dancer and nightlife promoter who works for Hunk-O-Mania male strip clubs in both New York and Philly. "It shows everybody involved in drugs. None of us are involved in drugs or anything like that. We’re more just entertainers." The rest, though, is pretty dead-on. For Campagna, what the sequel nails right on the head is how much fun they all have on stage. "[Some girls] think we don’t want to be doing it, that we’re just putting on a front, but they don’t understand that we actually have fun doing it and we like doing our jobs," he said. Campagna, who used to be a logistical specialist for the U.S. Army and now promotes and performs for Hunk-O-Mania full time, also said the way the characters of "Magic Mike" all have a side hustle - from furniture making to painting - is very accurate. "A lot of the other guys work on Wall Street, they’re bankers, some guys are still in school, some guys are aspiring actors, some guys go to medical school ... and this is a side thing to make some money and have some fun on the weekends," Campagna said. But, whether they're celebrating a bachelorette party or a birthday, they're all ready for a good time. "Everybody’s there to celebrate something, so it’s a positive, fun atmosphere." Donald Glover says in "Magic Mike XXL," that male entertainers are "like healers or something," and Campagna agrees. "With each act that we do, we fulfill a fantasy of an All-American male ... that’s a fireman, someone who works on Wall Street or a police officer hunk or a military hunk. So we have to make that connection and fulfill that fantasy for them," he said. Another thing "Magic Mike XXL" gets totally right is the dancing, at least at the frequently sold-out Hunk-O-Mania. The dance routines, the flips, the choreography, the excitement - it's all there, Campagna said. 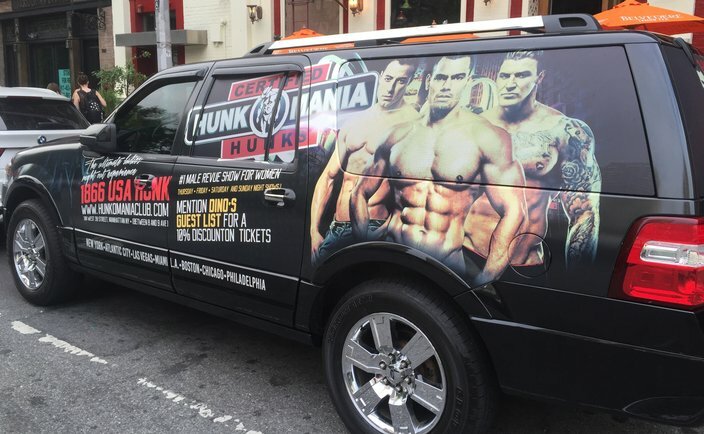 You can find Campagna and the Hunk-O-Mania crew Saturdays at 9 p.m.